Are you interested in getting fit within the comfort of your own home? Well, companies have heard your needs and are churning out a huge variety of different treadmills. However, if you’re looking for an inexpensive, effective, and easy-to-store treadmill, I’m confident I’ve found the one for you. 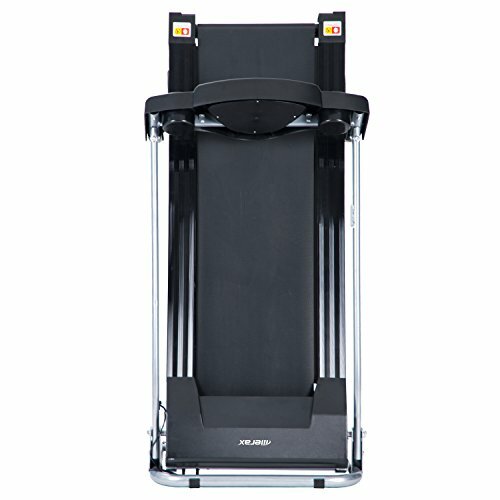 The Merax JK1603E is an affordable 500w electric folding treadmill. Don’t let the price fool you, as I was surprised by the number of features it has to enhance your workout experience. 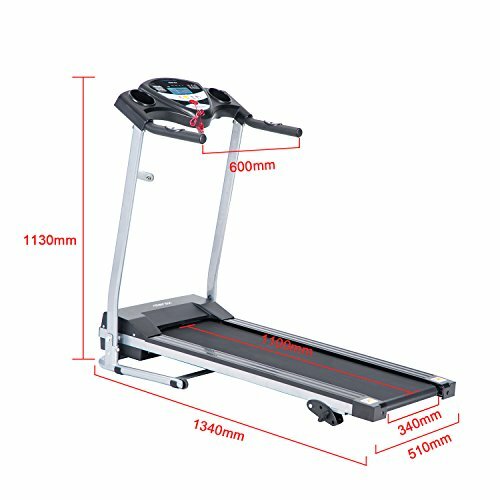 I’ve also found another popular 500W folding treadmill to give you something to compare the Merax JK1603E to. Discover exactly what makes the Merax JK1603E treadmill the number one choice in the 500W category below. 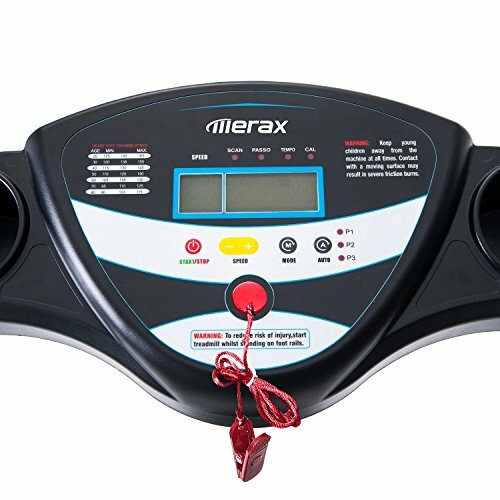 2 How Do Other 500W Treadmills Compare? While researching this treadmill, I didn’t expect to find any workout programs, however, you actually get a choice of three. One of which can be customized. The other two are pre-programmed workouts. They provide you with more options to increase and decrease workout intensities as well as let you recover in a HIIT (high intensity interval training) style of losing weight. With the custom program option, you can use the simple control panel and configure the treadmill to give you the exact kind of workout you want. Via the control panel, altering the speed is one of the functions. 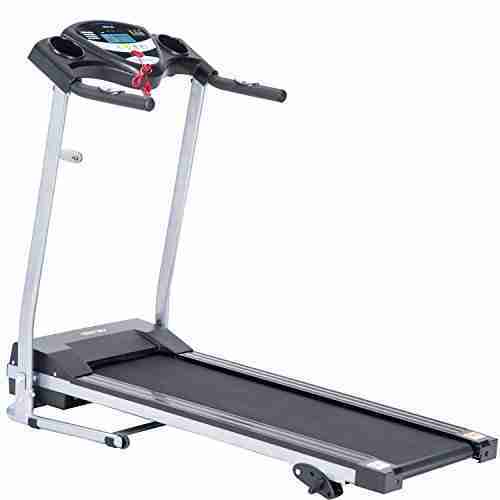 The Merax JK1603E treadmill can take you from as slow as 0.6 mph, all the way to 6.2 mph. This is an excellent speed range for those looking to walk and jog to lose weight. For the purposes of walking and jogging, the cushioned deck is perfect. It works to minimize the impact on your joints, meaning you can recover faster and workout for longer. Customers have been pleasantly astounded by how quiet this treadmill operates too. So, you can watch TV without having to turn the volume all the way up to clearly hear it. This is a popular way to make the time pass quicker while working out! The incline settings are one of the features that blew me away the most. Even though the Merax JK1603E is among the most affordable treadmills available, it still has incline settings. In fact, there’s a total of 3 incline levels to choose from. Level one is the lowest incline and level three is the highest. The higher the incline, the more challenging and effective your workouts will be. I love having the option to use incline settings on a treadmill, especially for a fast paced walk or jog. I will say, however, don’t expect the selected workout programs to automatically set the incline for you. Those are the advantages you get with the higher-end treadmills. But setting the incline manually really isn’t a problem – you’re working out anyway, so what’s pressing a few buttons? Since you’re planning on bringing this Merax JK1603E treadmill into your home, you may be wondering where you’re going to store it. Do you really want it taking up your living space 24/7? Well, luckily this isn’t an issue. 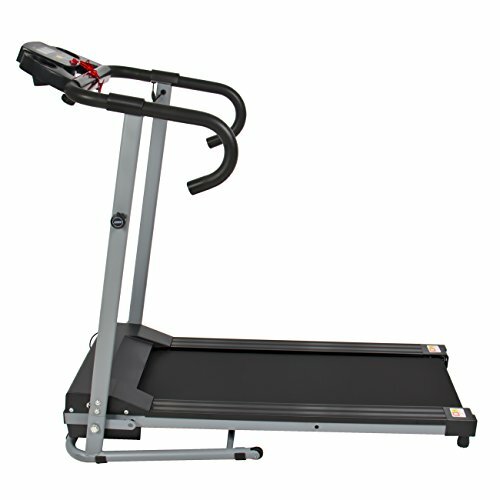 This Merax treadmill is built with folding and easy transportation features. Once you’re done with your workout, you can simply fold the treadmill up. To make things even easier, you’re able to roll it to a more suitable storage space by using the wheels on the bottom. This is truly easier than it sounds because the entire treadmill weighs just 70 lbs. So, moving it around on your own is simpler than having to get a friend to help. 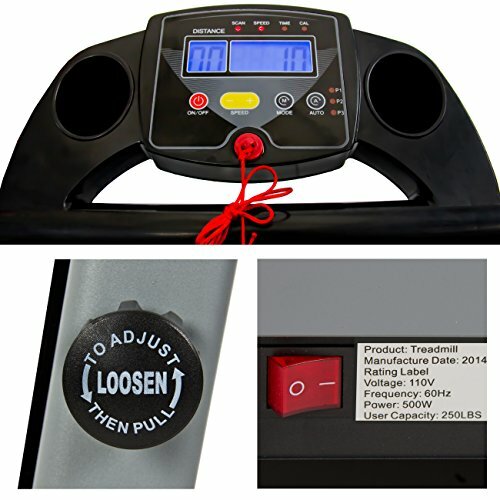 The Merax JK1603E treadmill comes with a small LCD display. I liked this addition as it lets you keep an eye on how you’re progressing with your workouts. It does this by monitoring the distance, speed, time, and heart rate. Your heart rate can be easily monitored by simply holding onto the dual hand pulse grip sensors which are located on the side rails. Having all these options to track how well you’re doing is paramount for getting fit and losing weight. For example, if you’ve plateaued in your weight loss, you could increase the amount of time you workout for or the distance traveled. In any case, you can clearly see how to improve and carry on getting fitter, with the help of the LCD monitor. The 500W that powers the quiet motor with the Merax JK1603E treadmill is good enough for some, but not so great for others. This amount of power may limit how fast people can run. While the workout features and incline settings are fantastic for those wanting to lose weight by walking and jogging, they may not suit runners. Not to mention, the lightweight design could cause the treadmill to feel unstable by increasing the intensity and running. So, if you are a runner, I’d recommend the Nordic Track T 6.5 S Treadmill instead. The compact size is a benefit for most people. It means it can fit into their homes and be used without taking up tons of space. However, I’ve realized this can also be a major flaw for other users. Numerous customers have complained about how narrow the treadmill is. They often find themselves knocking the handrails and not being able to workout properly. For those after a wider treadmill, I would advise you to take a look at the Life Fitness T3 Treadmill. 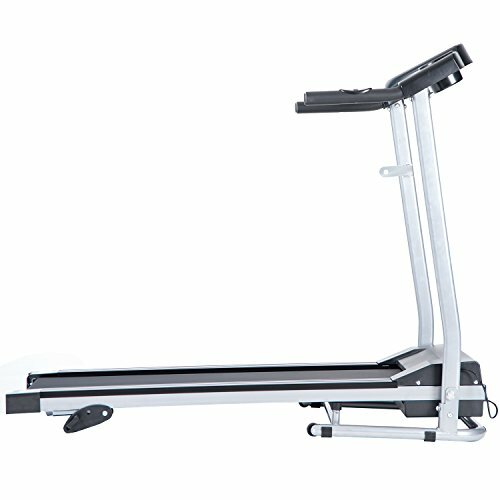 How Do Other 500W Treadmills Compare? So, the Merax JK1603E treadmill is the best choice when you consider price, workout features, and ease of use in your home. 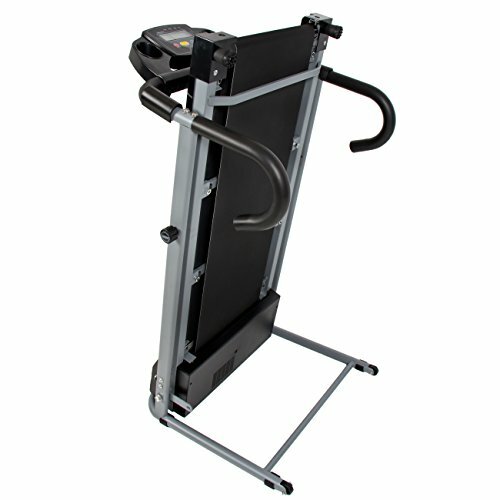 But how does it fare against another popular 500W folding treadmill? This 500W Portable Folding Electric Treadmill is a little pricier than the Merax JK1603E. But a higher price doesn’t always equal better quality. There are some big downsides to this treadmill that you may be interested to hear about. It could offer more perspective into how impressive the benefits of the Merax JK1603E really are. Although, in fairness, the Best Choice Electric Treadmill does offer some good features too. It’s just not worth the extra price in my opinion. The folding design is a big plus for people who want to save space and still get fit. This one can fold up to a compact size and, due to its lightweight, you can easily move it to better places for storage. It only weighs 70lbs, so you won’t need another pair of helping hands. It’s convenient to unfold to use, and fold back to store. A small LED display is built-in which is great for keeping track of your workouts. It provides you with information on calories burned, time, speed, and distance. The display is easy-to-read and give you everything you need to know about how to improve your workouts for better results. Since this is a 500W powered electrical treadmill, the noise is pretty minimal. As far as speed is concerned, you can start off as slow as 0.6 mph, or you could go the maximum of 6.2 mph. The Amazon’s Best Choice Treadmill is built for those wanting to walk and jog. Despite the price being higher than the Merax JK1603E, there are no incline features to be seen. I found this to be a major disappointment, and so have other customers. I would be able to find it easier to look past this flaw if it was constructed for running. But with a maximum speed of 6.2mph, the most you can get out of it is a jog. The quality of materials used to construct it is poor. Customers are complaining that the plastics are easily prone to wear and tear. Furthermore, the welding used on the siderails is weak. This could potentially be dangerous if you were in the middle of walking at a fast pace while using the rails for support. In other words, it’s unlikely that this Amazon’s Choice Folding Treadmill will last you very long. And when you’re purchasing something as big as a treadmill, you want to have the confidence it will last. Unfortunately, this one doesn’t hold up. Getting in shape is always tough, but you’re already one step ahead. Looking for viable treadmill options for your home means your serious about your health and fitness. However, you don’t necessarily need the highest-end equipment to see great results. That’s where treadmills like the Merax JK1603E can really shine. Having said that, there aren’t many you can find at this price range that offer as much as the Merax JK1603E does. You may have come across various other treadmills that seem similar, but it’s hard to determine whether it’s right for you without digging in to the details. That’s why I put this review together: to make the process as easy as possible for you. While I do highly recommend the Merax JK1603E for anyone wanting an inexpensive way to get fit from home and save space, it’s your choice at the end of the day.